Handsome men are less prone to COLDS? Do you agree? What has cold or immunity had to do with beauty? this can be the normal reaction from all of us. However, the recent research conducted at Finland suggest that Being attractive is linked to a having strong immune system, but this is limited to male only, it’s not apply to female! reports daily mail. Scientists vaccinated 52 young Latvian women against hepatitis B and measured the amount of antibodies produced. 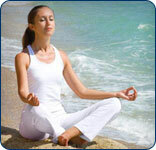 They also checked cortisol levels, which indicate stress. The scientists, led by Markus Rantala, of the University of Turku, Finland, then photographed the women, who had an average age of 20, and asked 18 heterosexual male undergraduates to rate their attractiveness. Scientists at King’s College London have discovered vitamin D has the potential to significantly cut the symptoms of sufferers. They say it may one day be prescribed as a treatment alongside conventional steroids, but reducing the need for medication. A new study found the ‘sunshine’ vitamin resulted in lower levels of a natural chemical in the body that aggravates symptoms in asthma patients and cuts the effectiveness of steroids. 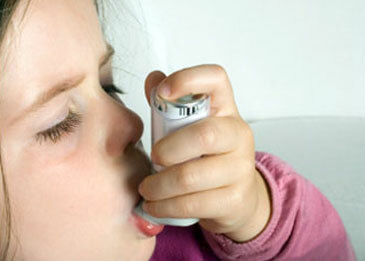 Severe asthma is currently treated with steroid tablets which can have harmful side effects. A stressful job can alter the way body handles fat - leading to raised cholesterol and deadly heart disease. Spanish researchers have found that stressful situations affect how the body metabolises fat - ultimately ending up with there being too much 'bad' cholesterol. Most people associate work with negative effects on family life, but new research from The Australian National University (ANU) has turned this view on its head, showing that the positives of jobs flow through too. With both National Families Week and the Federal Budget this week, this finding is a timely reminder of the impact policy decisions about jobs, work and work conditions can have on Australian families. "This study confirms many people's feelings that exercise may be useful in the control of hypertension," said Dr. Howard Weintraub, a cardiologist and associate professor of medicine at NYU Langone Medical Center in New York City.Weintraub was not connected to the new study. Can the Scent of Rosemary Boost Brain Performance?